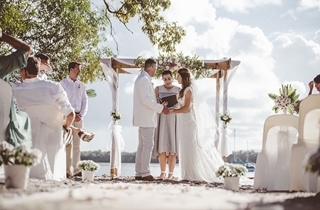 With a choice of ceremony locations and an abundance of photographic opportunities, An Island Hideaway is a truly unique wedding venue. 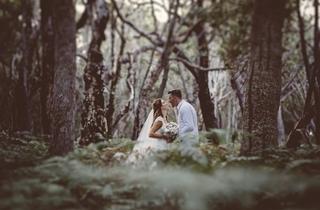 A typical sunset at An Island Hideaway provides couples with memories and photos that last a lifetime and our alluring reception room is nestled among tropical gardens. A relaxed yet romantic atmosphere is created with soft lighting and candle-lit decorations, not to mention the delicious menu’s and great service we offer. 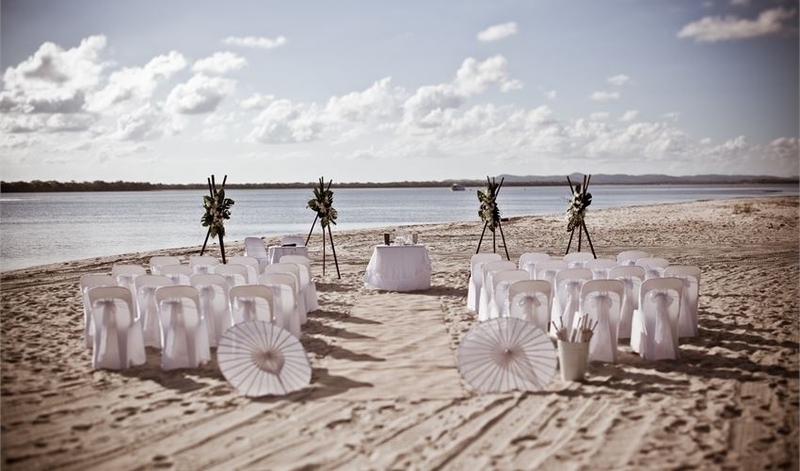 We take care of the entire set-up of your ceremony and reception, including table decorations and centerpieces, dressed tables and chairs, dressed bridal table, cake table and treasure chest table, just to name a few. 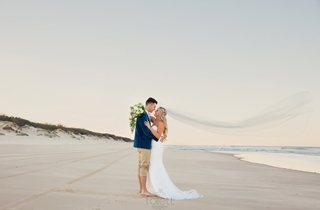 With countless free inclusions and friendly experienced staff to assist, you won’t believe how affordable your Gold Coast beach wedding may be. 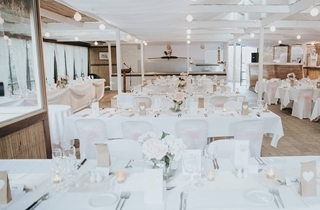 Our alluring reception room is nestled among the tropical gardens of our venue – the relaxed atmosphere is created with soft lighting and candle-lit decorations not to mention the delicious menus and great service we offer at An Island Hideaway. We take care of the entire set-up of your reception, including table decorations and centerpieces, dressed tables and chairs, dressed bridal table, cake table and treasure chest table, just to name a few. At An Island Hideaway there is no room hire charge, no cleaning fees and most importantly no stress. 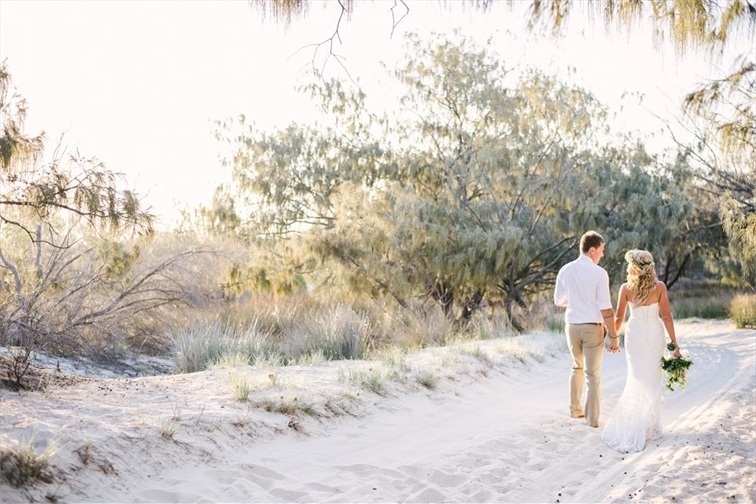 With countless free inclusions, ceremony options and friendly experienced staff to assist you – you won’t believe how affordable your Gold Coast beach wedding may be.